76% of people with student loan debt also have a balance on their credit cards. Dealing with both (or even one) is a pain, but doable. Left unchecked, money-related stress can interfere with one's job, relationships, and well-being. In a recent study by the American Psychological Association, almost 90% of Americans surveyed reported that their stress levels over money hadn't improved in the last year. In some cases, it had gotten worse. Is there one type of money issue that stresses people out more than the others? DealNews conducted its own survey, and found a strong correlation between two big financial frustrations: credit card debt and student loan debt. According to our findings, 65% of people who have student loan debt are stressed about money. And among those respondents who carry a credit card balance, 25% also have student loan debt. Those are just a few stats; our key findings point to a strong relationship between credit cards, student loans, debt, and stress. Read on as we explore this relationship, share other important survey findings, and offer five tips for managing your own debt with a minimal amount of stress. In the United States, student loan debt is the more prevalent problem at $1.23 trillion. Compare that to the (still staggering) $733 billion in American credit card debt. Broken down, that's over $48,000 in student loan debt per average household, and nearly $16,000 in credit card debt, according to data from NerdWallet. 76% of people with student loan debt also have a balance on their credit cards. 76% of respondents who pay more than the monthly amount required on their student loans carry a credit card balance. 70% of people who regret taking out student loans have a credit card. Juggling payments for both a credit card and a student loan has proven challenging for respondents. Thirty-six percent of people who have a credit card balance and student loans said they pay more than the amount required each month. However, 45% do not pay more, and 19% said they only sometimes pay more than the minimum on their student loans. On the flip side, 15% of our survey respondents who have student loan debt just pay the minimum balance on their credit cards each month. Obviously, this usually depends on which form of debt has the higher balance. Here's why student loans and credit cards can be stressful for the person in debt with either. The amount borrowed (your total balance) can be extremely costly, right from the start. Jobs may be scarce after graduation, meaning there's no income to pay down your debt — even as interest builds. Student loans are rarely discharged in bankruptcy. Deferments and forbearances are only temporary reprieves. Refinancing may help a bit, but may not reduce your debt load. Interest rates and penalty APRs can be exorbitant (the average APR is 15%). Minimum monthly payments are unbelievably low, tempting borrowers to pay as little as possible (and stay stuck in debt). It's all too easy to obtain a credit card and acquire debt. Like loan refinancing, balance transfers may only ease your debt slightly. Either way, having both student loan debt and credit card debt feels like a mistake to our survey respondents. Forty-seven percent of people who have a balance on their credit cards regret taking out student loans, while 53% of people who don't have a balance do not regret taking out student loans. One reason we stress ourselves out is we guess about how much debt we have. There's a big difference between $1,000 and $10,000, after all. Contact your creditors, obtain your credit report, and itemize all your debts — not just your student loans or credit card balances. It's the first step to regaining control over your debt and paying it down. Start by making a budget: Map out how much money you have coming in, and how much is going out each month. Finding ways to earn extra cash, like getting a second job and cutting back on expenses, can free up money to pay toward your debt. Don't look too far into the future, since a large debt load can discourage your efforts and keep you stressed and depressed. Take it one day at a time, and be proud of your financial progress once you're starting to make some headway. This may depend on the kind of debt you're struggling with, but if pressed to choose, you may want to consider prioritizing your credit card debt over student loans. With the average credit card APR at around 15%, and interest rates for federal student loans ranging from 4.29% to 6.84%, you'll save in the long term by paying down the debt with the highest interest rate first. That said, don't ignore student loans until your credit card is paid off; that could send you into delinquency. Just try to devote a bit more money each month to one while whittling away at both debts. Nothing is set in stone — not even your debt. Exercise some of the financial options available to you to reduce your debt. Can you refinance your student loans into one consolidated private loan with a lower interest rate? Or, if you have debt on multiple credit cards, can you go the balance transfer route? It might be wise to curb your credit card usage until you catch up. If you're swimming in debt, seeking the services of a certified financial planner or legitimate credit counseling agency can help you realize solutions you may not have considered. Likewise, if financial debt has affected your mood past the point of mere stress, don't be ashamed to consult a mental health counselor or psychologist. This person can help you sort out your feelings, regain a positive perspective, and change your outlook, both personally and financially. With that said, not everything is bleak when it comes to struggling with debt. In our survey, 55% of people with a credit card balance revealed that they're optimistic about their financial situation in 2016, and 61% of those with student loan debt echoed the same sentiment. It's proof that overcoming debt all comes down to mind over matter ... and money. Readers, do you think having student loan debt or credit card debt is more stressful? 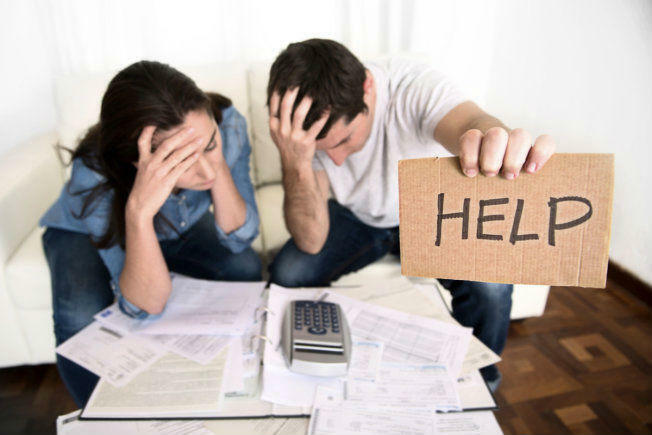 What are your best tips for managing debt-related stress? Let us know in the comments below! 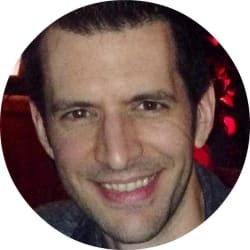 Paul Sisolak is a freelance writer who covers a wide range of topics, including personal finance, automotive reviews, travel, news and trends, entertainment, and education. He has written and reported for U.S. News & World Report, Business Insider, Huffington Post, CNN Money, StudentLoanHero.com, and GOBankingRates.com.